To facilitate the funding of skilled medical and life science researchers within the region who can advance knowledge and technology to improve the quality of life and economic competitiveness for all within the UK and beyond. To bring together clinicians, veterinary and agricultural scientists and the local community to deal more effectively with challenges of the 21st century. Our world is rapidly changing and whereas we expect populations and life expectancy to continue to rise, we are still afflicted by epidemics of infectious disease and malnutrition. Our hospitals and communities see growing problems of non infectious disease such as diabetes, heart disease and neurological disorders which are associated with food consummation and our lifestyle, and increased lifespan for some.. -We are not an isolated island community. Human, animal and plant diseases arising in one part of the world can now spread and arrive on our doorstep in a matter of days. Increasing population densities not only exacerbate this but also present significant pressure on food and nutritional security which in turn affect health, life and wellbeing. We are however in an era where science and technological advancement can play significant roles in addressing these problems. The past decade has seen important developments supported by the Medical Research Fund (MRF) and Warwick University. 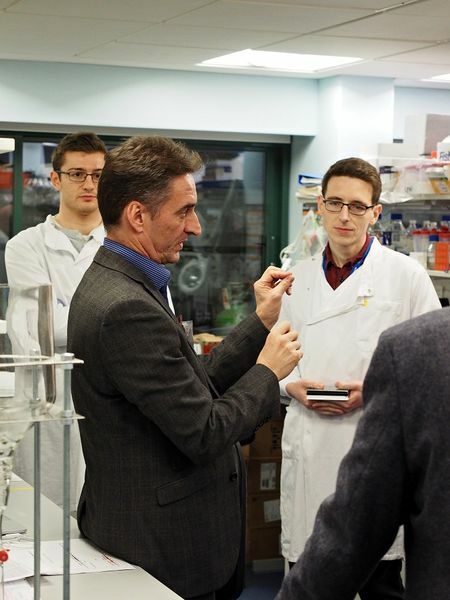 From the inception of the previously successful Medical Research Institute Appeal launched in late 1994, attracting ~£6 million funds to build and equip a state-of- the-art research facility, we have seen the arrival of a Medical School at Warwick. 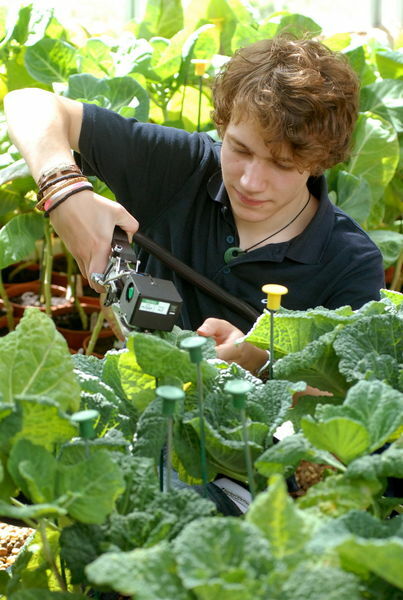 The Regional Development Agency has supported additional equipment and buildings for so- called Translational Medicine (from bench to bedside technology), the support by the MRF of numerous Arden Research and Training Fellows, and recently, the formation of a new School of Life Sciences integrating biomedical research with the fundamental plant science and food security capabilities at the Crop Research Centre at Wellesbourne. 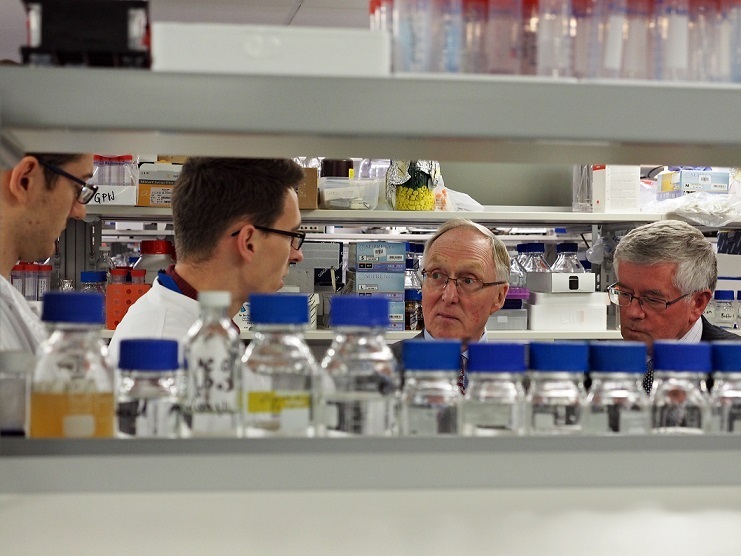 The Medical and Life Sciences Research Fund, has grown as an independent charity from the original Medical Research Fund (MRF) We are now in an unrivalled position regionally, nationally and internationally with all these facilities at Warwick to close the loop between food and health. However, it is people that deliver innovative research, not just buildings and equipment. To capitalise upon these developments the Medical and Life Sciences Research Fund wishes to continue to support bright exceptional young scientists and medics through the Arden Fellowship Programme and to expand the areas of research in line with our capabilities and the new fund’s wider remit Areas of research that are already supported by these fellowships include new treatments and diagnosis of cancer, cardiovascular disease, diabetes, infection, kidney disease, the association of neurological disorders and viruses. Now we would like to be in a position to support activities cutting more broadly across health, and human wellbeing. We maintain close links with the University of Warwick with office space in the University Science Park (c/o Micropathology Ltd.) with the object of funding high calibre research through our continuing commitment to Warwick University, the Crop Research Centre at Wellesbourne and the regional health care services. The charity does not carry any administrative costs as all of these are covered by our hosts Micropathology Ltd, a medical research and diagnostic company. Our Arden Fellows have been supported by funds raised both at the local and national level. Locally, major contributors have included organisations such as WPH Charitable Trust and the Coventry General Charities plus generous donations by many individuals, both large and small. In undertaking this work we have established recurrent support and links with the local community. Nurturing these links between the Medical and Life Sciences Research Fund - and with the research workers and their projects - and with the community must remain a key role if we are to maximise the use of our funds to enable regional centres of excellence to flourish that will be of benefit to the wider community. The wider focus of the Medical and Life Sciences Research Fund is very timely with, once again, the reorganisation of the NHS, the undercurrent of awareness of global epidemics and spread of disease, and rising concerns by the UK and other Governments over the future availability of food and the impact that food has upon health. Whilst we anticipate that the Medical and Life Sciences Research Fund will provide a proportion of the support for some of the proposed research, our pump priming activity for promising projects will facilitate larger and succesful application for peer reviewed grants from national agencies. The aim of the Fund would be to set up a direct regional and responsive means of raising and administering funds to facilitate good research locally that then may be measured for a focus for regional research of high standard. Relatively small sums used locally can lever much larger sums by rasing the general standard of grant application with this all important preliminary information. Additionally pump priming grants can help develop the seed of an idea which can improve industrial productivity via patents or partnership. The Medical and Life Sciences Research Fund is a long-term charity with a regionally high profile.It is organised on two planes: the first is a Founders Committee, within which is a steering committee, the other is a Scientific Committee. There is some useful cross membership representation. It is critically important that the scientific committee is focused on scientific excellence and the aims of the charity. The committees contain senior clinicians, widely experienced scientists and members of the local community. Our decisions concerning fundraising and our strategy take into consideration consultation with the relevant institutions. The distribution of funds for directly supporting new and unusual research projects will be the responsibility of the scientific committee in line with the wishes of some of larger donors where specific legacies stipulate particular medical or scientific questions. All our selected research projects are examined by the scientific committee and subject to peer review. These projects will also be examined in the light of local research strategy. Grants from the Fund would cover both pump priming applications and continuation or ‘bridge’ funding. Co-ordination between committee members is key to developing a seamless effective team. For this an administrative officer who already has widespread contacts with key groups is essential. Elizabeth Robinson who has hitherto very succesfully administered the Medical Research Fund continues her role. Her work is funded by an outside source without cost to the charity. This is together with office space, overheads etc at the University of Warwick Science Park which is also funded without recourse to the charities funds.